Aluminum Outdoor Screen 144 inch Watching your favorite movie on freshly cut grass is an experience that will make you feel like a kid again. The Outdoor Big Screen offers 144 inch (12 ft) of movie night fun. Don't worry about sacrificing the high definitionthis screen is made of an Oxford nylon reflective material for highresolution imagery and enriched colors. Setup and takedown is simple and easy, taking only a few minutes. The durable, aluminum frame is freestanding and stable in a light summer breeze, but four tiedown guy lines are included for extra stability when you need it. 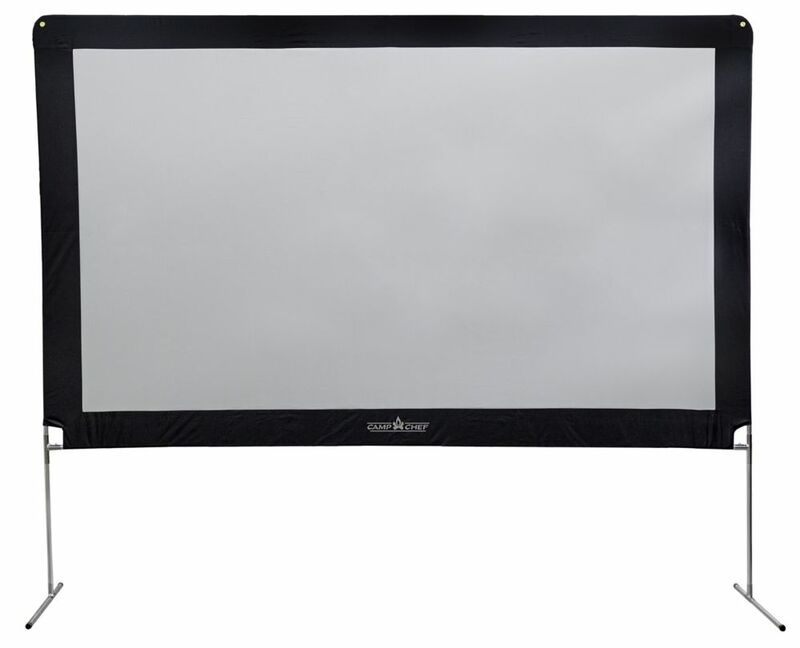 This screen is perfect for business seminars, sporting events, weddings, movies, and much more. Enjoy dinner and a movie in your own backyard this summer.